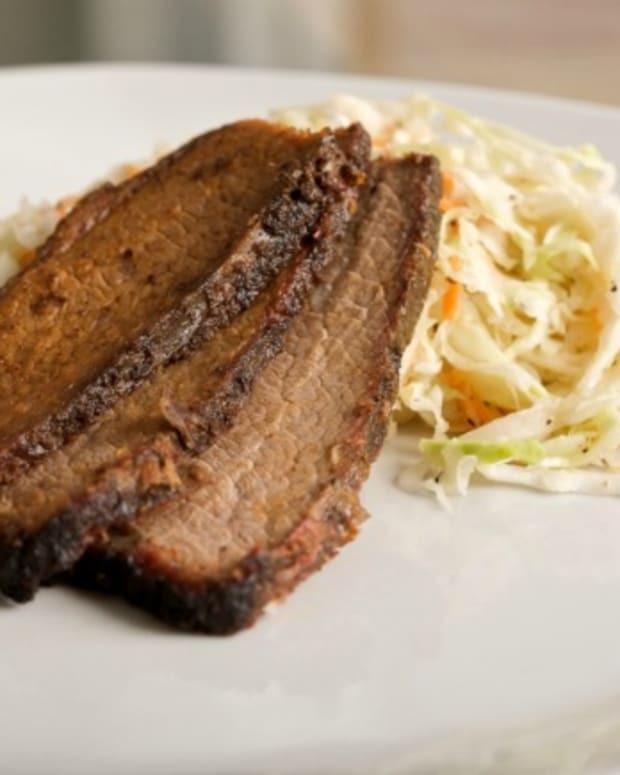 My mother&apos;s excellent brisket recipe! 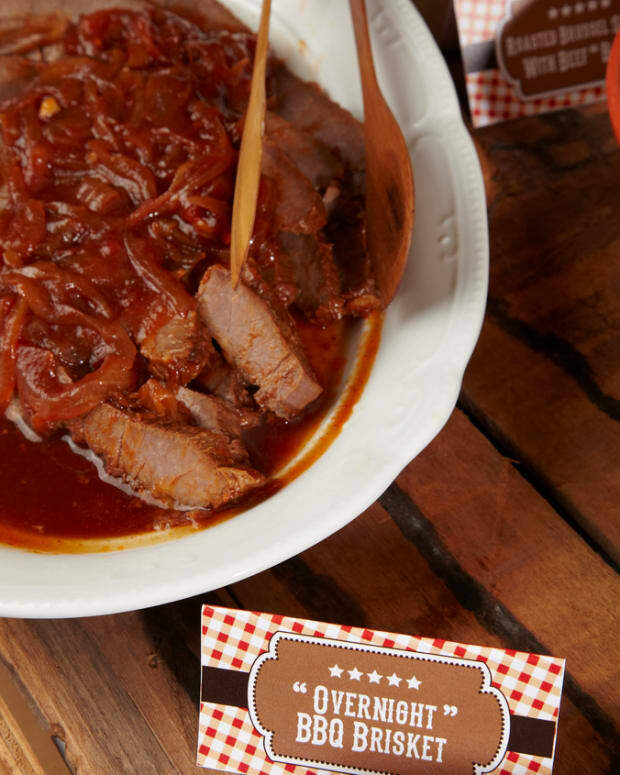 Makes a rich gravy brisket with just a little tang! Heat 2 tablespoons oil in large skillet over medium high heat. Dra brisket and sprinkle with salt and freshly ground pepper. When oil shimmers, sear brisket on both sides, about 5 minutes per side. When searing second side, rub 1/2 bottle of Gold's Red horseradish. When second side is browned, flip so horseradish sears, and pour other half bottle of horseradish. After 5 minutes, flip and cook 5 more minutes. Remove brisket to large platter. Without cleaning dutch oven, add 2 more tablespoons oil and sauté vegetables until onion begins to wilt. Remove vegetables to plate. With Dutch oven still on medium high heat, add 2 cups water, wine or stock, scraping up all browned bits on the bottom of the pan. 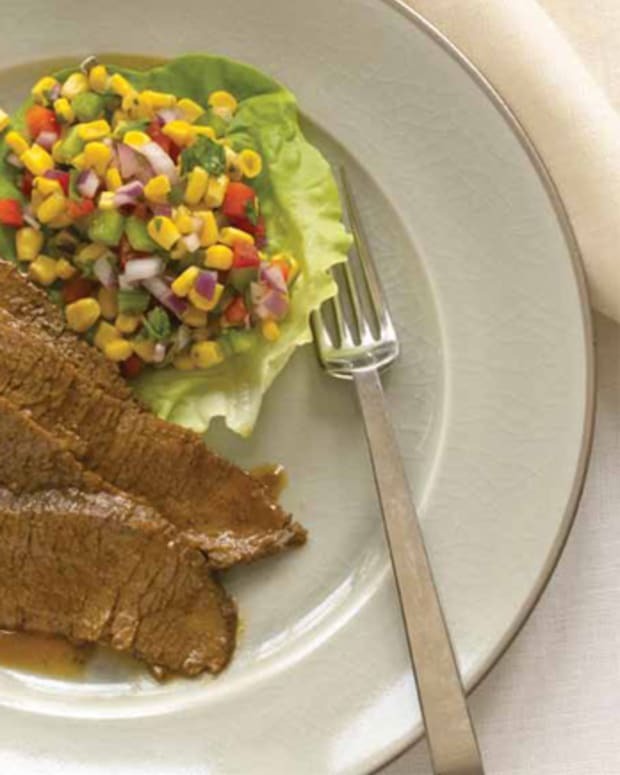 Then put brisket, with any accumulated juices into pot, with sautéed vegetables on top. Add water if necessary so there is liquid halfway up brisket. Cook over low heat (or in 325 degree oven) for approximately 3 hours, until tender. 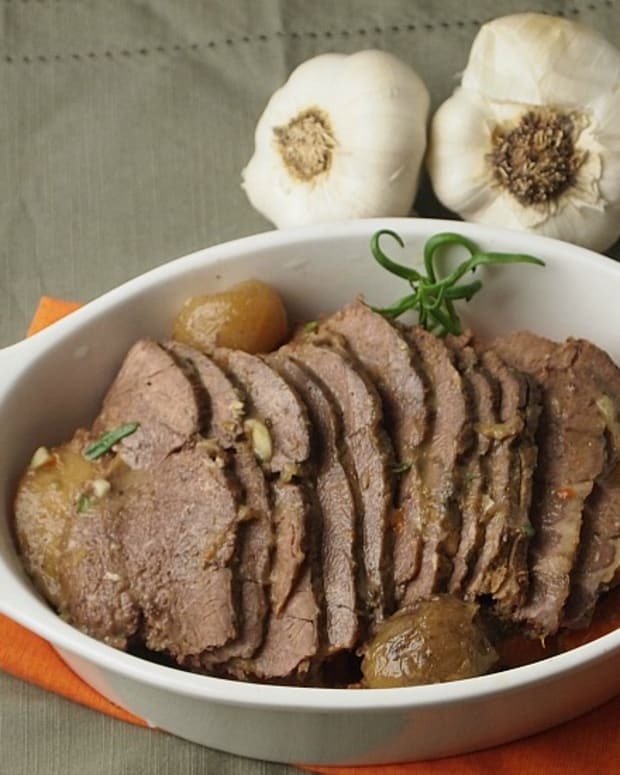 Best if made a day ahead of time, so meat can be sliced cold, and gravy can be degreased and cooked down to thicken a bit. Gravy can also be thickened by making a thin paste of potato starch and water and adding it a tablespoon at a time while gravy is warming.